The vehicle carrying the rescuers from Odisha was attacked on the highway in East Jaintia Hills district following which the police escorted it. 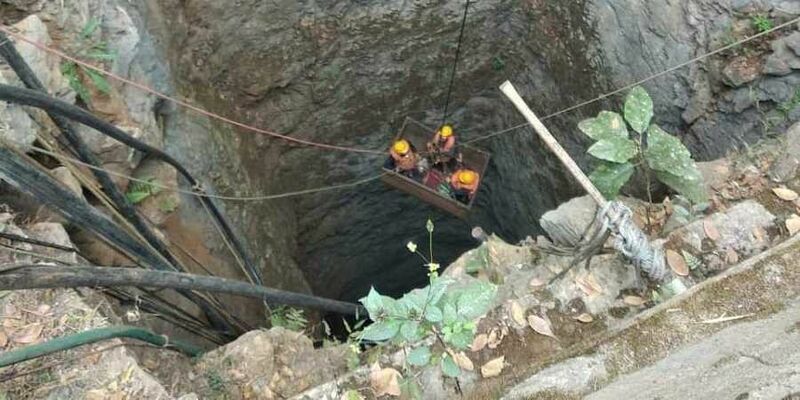 SHILLONG: A bus carrying a team of rescuers from Odisha, headed to aid the operations to trace 15 miners trapped in a rat-hole coal mine in Meghalaya, was attacked in East Jaintia Hills district allegedly by people protesting against the citizenship bill, police said Friday. District Superintendent of Police Sylvester Nongtynger said while there were no injuries to any personnel when the bus was targeted Thursday night on the National Highway in the Khasi-Jaintia Hills region, the vehicle was partially damaged. The vehicle carrying the rescuers from Odisha was attacked on the highway in East Jaintia Hills district following which the police escorted it, they said. Even as a multi-agency effort to rescue them is underway, the Supreme Court is hearing a PIL in the matter for urgent action. The Centre Friday told the Supreme Court it has to "believe in miracles" and see if the miners come out alive. The court told the Centre's counsel, "There is no dispute that you are making efforts. Whether they (miners) are alive today, we do not know. Maybe somebody is alive there. You have to take them out." A senior police officer in Meghalaya said the flow of traffic along the national highways was affected and there were reports of stone pelting on vehicles in West Khasi Hills, East Jaintia Hills and in Ri-Bhoi districts as well.